Have you embraced Tangerine Tango? It’s the 2012 Pantone color of the year. 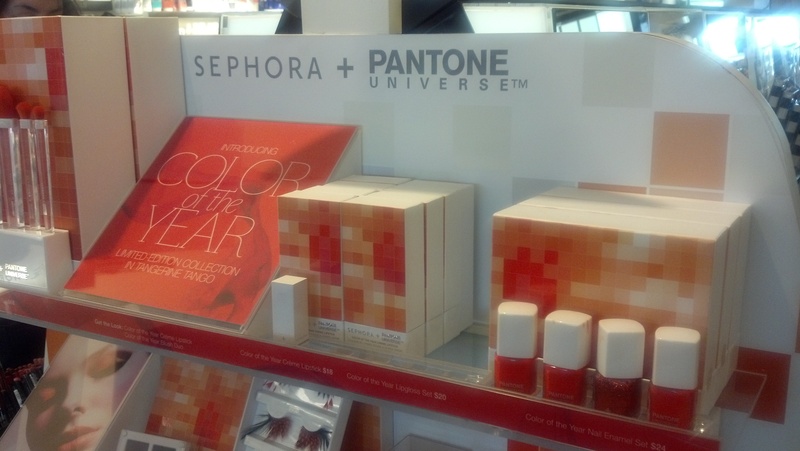 This year, Pantone teamed up with cosmetics company Sephora to promote Tangerine Tango. I was just recently in my local Sephora store, and spotted an entire display dedicated to the Pantone color of the year. The two companies have even released a video to give consumers tips on using the hue in their makeup and wardrobe. But what about using Tangerine Tango in your promotional products? Chances are, you and your company already have a set of colors that define your logo. It’s probably a Pantone color, since they’re pretty much the go-to source for universal color choices. Here at Jag Forms, we’re Pantone 3425. 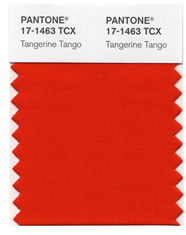 But just because your company’s identity is defined by one color, doesn’t mean you can’t embrace Tangerine Tango. – Offer employees some cute logo’d apparel featuring your company’s logo, but screened or embroidered onto a “Tangerine Tango”-hued product. If it’s stylish and trendy, they’ll be more than happy to wear it — and show off your company name in public. – Tote bags! Always useful, especially if you consider going with a non-woven polypropylene bag: those reusable bags grocery stores want you to use instead of paper or plastic! A Tangerine Tango-colored bag is the perfect backdrop for your logo, plus it’s a product consumers will use frequently. Not only will that give your company’s name a lot of visibility, but if it’s on an orange bag, it will stand out! – Put it in print. If you’re putting together printed materials, especially brochures, post cards, or other printed items that consumers will see, make your content stand out with a pop of Tangerine Tango. Adding an extra color to your print run will make your product stand out — and using a color like Tangerine Tango is a great way to catch the eye and draw emphasis where you most want it. Want more ideas for using Tangerine Tango? Give us a call & let’s talk!